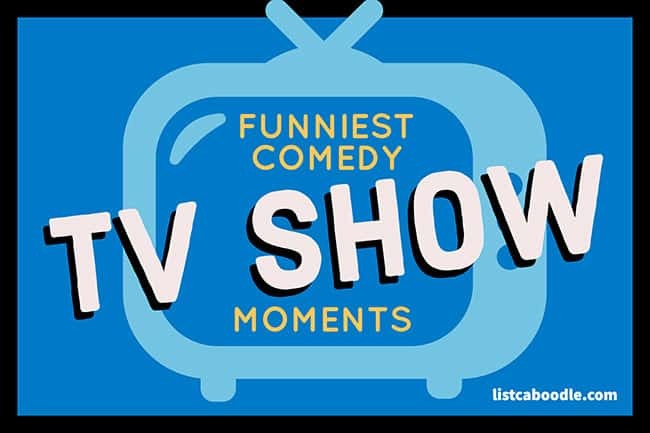 What funny tv show moments do you remember? What TV shows really make you laugh? Not just an amusing chuckle, but a real laugh? And, maybe even several laughs in a row? We took a look at five of the most popular, comedy series and tried to identify their best scenes. The shows: The Office, Seinfeld, Parks and Recreation, Friends, and The Big Bang Theory. The featured clips represent the best of each show. Before we get into the humor, let’s start with a definition. A sitcom is short for situational comedy. It is a comedy genre with a reoccurring cast of characters. The concept originated in radio, but swiftly made the transition to TV and is a very popular narrative form. All of the comedies featured here are sitcoms. When folks talk about “must-watch TV,” many are referring to shows like these. Viewers scheduled their evenings around these shows, taped these shows and binge watch reruns. 1.) The Office “Fire Drill” scene: When Dwight is in charge of fire safety, what could go wrong? Well, in a nutshell, just about everything. 2.) The Best Intro: This one has a little bit of everything. Each character is showcases their own personality in this Broadway-like opening. 3.) “Prison Mike” takes on a Scared Straight approach to teaching his office colleagues. 4.) The Office “CPR” scene: When Michael Scott fails to use the Bee Gees’ “Staying Alive” tune correctly as a timing device for applying CPR, it gives all of his colleagues a chance to chime in. This may be the funniest scene from any sitcom ever. The American television show was adapted from the original BBC series starring Ricky Gervais. The American show lasted nine seasons, from 2005 thru 2013. It starred Steve Carell as Michael, Rainn Wilson as Dwight, John Krasinski as Jim, and Jenna Fischer as Pam. The show features the exploits of the employees of Dunder Mifflin Paper Company, located in Scranton, Pennsylvania. The premise is that a documentary is being made, so the shows were made without a laugh track, and frequently characters are speaking into the documentary’s camera. 5.) The Soup Nazi. You can run into troubles at this soup place if you don’t follow the protocol. 6.) Newman’s desire to go to France. 7.) Puddy selling Jerry a car after breaking up with Elaine. 8.) Kramer sues Java World with the help of Jackie Chiles. Created by Larry David and Jerry Seinfeld, the show ran for nine successful years. The “show about nothing” featured Jerry as himself along with frinds Goerge Constanza, Elain Benes, and Cosmo Kramer. The show is considered one of the most influential tv shows ever made. The Writers Guild of America voted it the #2 best show ever written, second only to the Sopranos. Catchphrases like “yada, yada, yada,” “No soup for you!”, “double dipping” and “Serenity Now,” evolved from the show’s many episodes. TV Guide named Seinfeld the greatest TV Show of all time in 2002. 9.) Parks and Recreation “All About Entertainment 720” – Tom and Jean Ralphio start a new business that specializes in just about everything. Guest appearance by Detlef Schrempf. 10.) “Treat. Yo. Self” Once a year, Tom and Donna have a treat yourself day. 11.) When Andy Dwyer, AKA Burt Macklin, is assigned a case, heads are going to roll. 12.) April Ludgate at her apathetic best. Airing for seven seasons, the show starred Amy Poehler as Leslie Knope, a Parks Department employee of the fictional town of Pawnee, Indiana. The show aired from 2009 to 2015 and its cast included: Amy Poehler, Rashida Jones, Paul Schneider, Aziz Ansari, Nick Offerman, Aubrey Plaza, Chris Pratt, Adam Scott and Rob Lowe. The show won eight Emmy Award nominations and Time magazine named it the best show on television in 2012. 13.) The rivalry between Monica and Ross shines through in “The One with the Football”. 14.) Phoebe’s “Smelly Cat” has that catchy hook. 16.) The trivia game creates some Friends hijinks. Six 20-30 something friends living in Manhattan and hanging out at a coffee shop (Central Perk) and apartments set the stage for this 10-year running comedy. The cast included: Jennifer Aniston, Courteney Cox, Lisa Kudrow, Matt LeBlanc, Matthew Perry, and David Schwimmer. Carreer, romance, and day-to-day issues of the cast were all covered by the show’s writers. Ross and Rachel’s on-again-off-again romance is a reoccurring storyline for the show. The concept of Friends was coined a “Hangout Sitcom,” and its success led to other similar concepts like How I Met Your Mother, The Big Bang Theory and New Girl. The central theme: adult friends with similar traits who are funny. All ten seasons of the show finished in the top 10 shows for the year and the series’ finale was viewed by some 52.5 million people. It was the most-watched show of the 2000s. The show was also a financial success generating about $1 billion each year for Warner Bros. From Joey’s catchphase, “How ya doing?” to the “Rachel haircut,” the show was a cultural phenomenon. 17.) What’s Up Moon Pie? Sheldon is in a crisis situation on a moving train. 18.) Sheldon tries teaching Penny a little physics so she can relate to Leonard’s job. 19.) Halo Night with the guys is interrupted by Penny and her friend from Omaha. This show premiered in 2007 and the 2018-19 season is scheduled to be its last. The show centers on apartment mates Sheldon Cooper and Leonard Hofstadter, both physicists at Caltech. Other characters include Penny, a waitress who lives across the hall in the apartment and Leonard and Sheldon’s geeky friends, Raj Koothrappali and Howard Wolowitz. The show has won 46 Emmy nominations and spawned the prequel TV show, Young Sheldon. So, there you have it, 19 of the funniest TV show moments. Agree or disagree? Let us know via the contact page. You’re on Funny TV Show Moments.